As the state’s capital, Sacramento is at the heart of California and where California Mobility got its start. The founders of California Mobility are from the Sacramento area and you bet your technician will be too. Every technician from Sacramento will provide prompt, friendly, and neighborly service. They’ll be quick but thorough and leave no mess behind once the stairlift is installed. Did You Know This About Sacramento? As the 1800s wore on, the area attracted more and more settlers from the Eastern United States. In 1850, area settlers created a city charter, which was later recognized by the state legislature, making Sacramento the oldest incorporated city in the state. In 1879, the city was named the official capital of California. 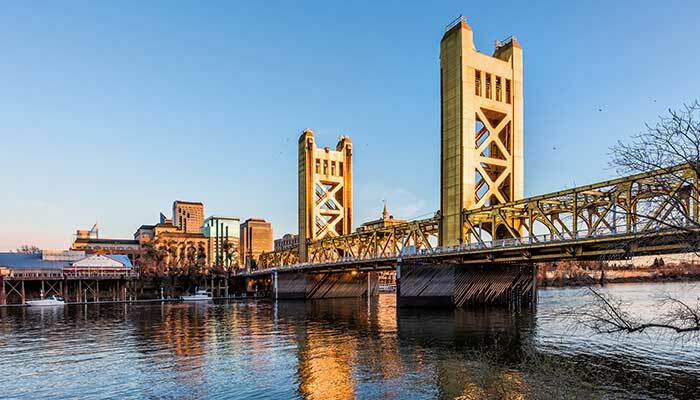 Located at the junction of the American and Sacramento Rivers, Sacramento boasts a comfortable Mediterranean climate with warm summers and mild winters. Much like the rest of California’s major cities, snow is relatively rare in Sacramento, as are temperature extremes. The population of Sacramento is approximately 500,000, and the city is recognized as one of the most ethnically diverse in the country. Sacramento is the ninth largest capital in the United States and the sixth largest city in the state of California. Because Sacramento is the state capital, it serves as the epicenter of California’s political machine. The California General Assembly, Supreme Court, and the Governor are all located within the city. Numerous think tanks and lobbying groups have also established themselves in the area. There are also many state agencies. The state and county are two of the largest employers in the area, as are Kaiser Permanente, Intel, and the Dignity Healthcare system. The area also houses many cultural attractions, such as performing arts centers, museums, and sporting venues. Once home to one of the state’s largest foreign-born Chinese populations, Sacramento’s “I” Street is lined with ruins of the city’s old Chinatown. The restaurants in the area are also some of the first in the country to utilize the farm-to-table method of serving fresh produce and meats to dining patrons. With an average home value of $320,000, Sacramento is one of the most affordable large cities in the state.